As part of National Fraud Prevention month, I’d like to take this opportunity to speak with you about an unfortunate type of fraud that is challenging desperate homeowners. Anyone facing the possibility of losing his or her home to foreclosure is distressed and worried. Unfortunately, scam artists look for these opportunities to prey on the fears of desperate homeowners. This series of posts should help you know what to look for and how to avoid being their next victims. The companies or individuals involved in an enterprise designed to scam homeowners may use a variety of tactics to find homeowners in distress. One avenue is through public foreclosure notices in newspapers and on the internet or through public files at local government offices. Once the names are located, some scam artists will send personalized letters to homeowners. Others will try to reach homeowners through ads on the internet, radio or television or radio, in newspapers, posters and at bus stops. They may send out flyers and business cards or even arrive at the homeowner’s front door. In one type of scam companies or individuals make promises to the homeowner stating that they can change the terms of the loan, reduce the monthly mortgage and save the home from foreclosure. Such companies actually tell homeowners that they are able to save their homes and even may offer a money-back guarantee. Some companies have their employees call and tell the homeowner that they are affiliated with the lender or the government and offer the help of attorneys or real estate agents. This is just another way these con artists promise relief and fail to deliver, leaving the homeowner in a worse financial state. Some scam artists tell the homeowner to pay them a fee for negotiating a deal with the lender to reduce mortgage payments and prevent foreclosure. Some may claim to be attorneys or representatives of a law firm. They may tell the homeowner not to contact their lender, lawyer, or credit counselor based on a promise that they will handle all the details once they receive the fee. Once the homeowner pays the fee, the scam artist stops returning the homeowner’s calls and disappears with the money. Another tactic is the use of telephone calls initiated by people pretending to be credit counselors. These people often insist that mortgage payments be made directly to them while they negotiate with the lender. They may collect a few months of payments and then disappear. 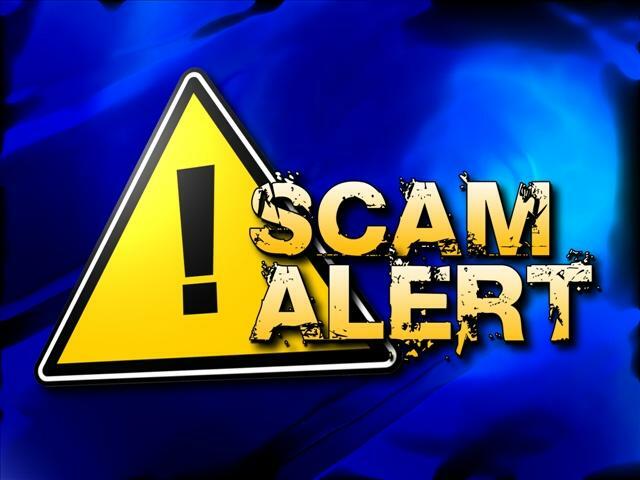 Some scams involve people posing as loan auditors or foreclosure prevention auditors (for example), and requiring an upfront fee for an attorney or other expert to review mortgage documents to determine if the lender complied with the law. These so called auditors may tell the homeowner that they can use the attorney’s report to avoid foreclosure, facilitate a loan modification or reduce the amount of the loan. Inevitably, the scammer’s promises do not materialize, and the fraudster disappears with the money. Scam artists may use a rent-to-buy scheme and tell the homeowner to give up the title to his house as part of a deal that allows the homeowner to stay in the home as a renter and buy it back later. The con artist will say that surrendering the title will actually benefit the borrower with a better credit rating, qualify the homeowner for new financing and save the home. Ultimately, the homeowner loses the house, and the scam artist disappears with the money the homeowner paid. This scheme leaves the homeowner without a title to his home and more likely than not, facing eviction. In a similar hustle, the scam artist raises the rent over time so the homeowner cannot afford it. The homeowner starts missing payments, is evicted and the scam artist sells the house. Some schemes involve an offer to find a buyer for the homeowner, but only if the homeowner signs over the deed and moves out. The con artist promises to pay the homeowner a portion of the profit when the home sells. After the homeowner transfers the deed, the fraudster rents the home and pockets the proceeds and the homeowner’s lender proceeds with foreclosing on the home. The homeowner loses the home and is responsible for the unpaid mortgage because the homeowner transferred only the title but not the debt. In a bait-and-switch scam, con artists give you papers they claim you need to sign to get another loan to make your mortgage current. But buried in the stack is a document that surrenders the title to your house to the scammers in exchange for a “rescue” loan. In Part II of this series, I’ll share a variety of FTC recommendations, what you should watch out for and how to make sure that you’re getting what you bargained for.